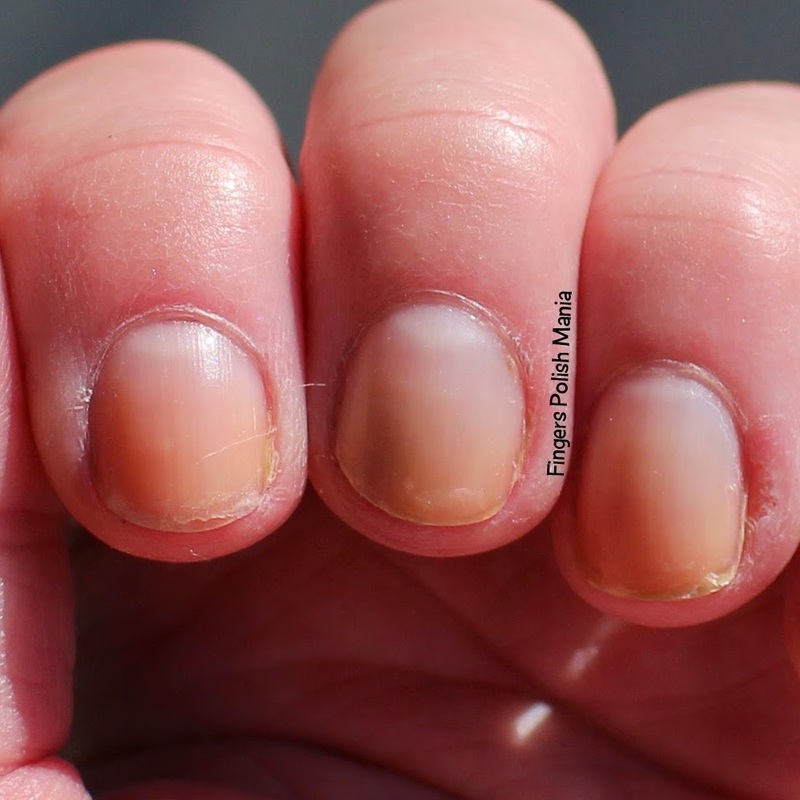 fingers polish mania: Spring Flowers? 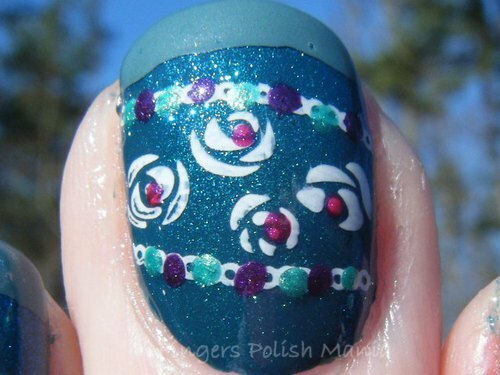 I am continuing on with my layered stamping with added color. Are you getting tired of it yet? I know I'm not! I just got in a bunch of polish from Pam at Girly Bits. I am very excited about these colors! I decided I wanted to start with her Cosmic Ocean. 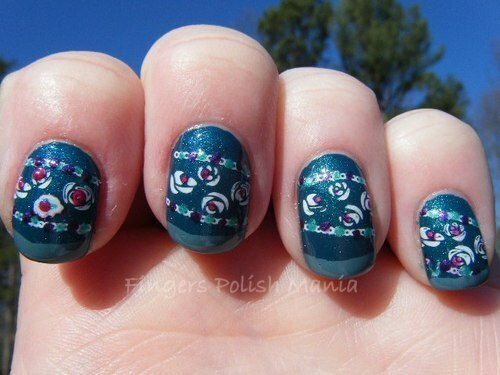 This is a duochrome top coat and of course, my camera is about to ruin its awesomeness. But first up, the silly bottle shot. 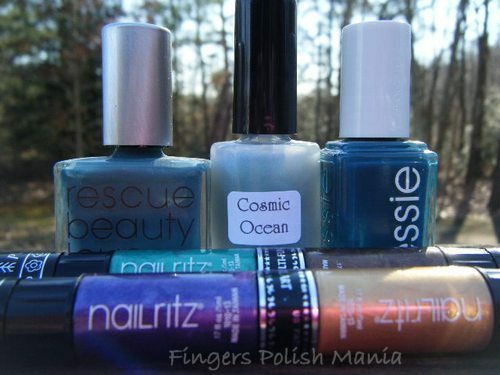 This is Rescue Beauty Lounge 360, Pam's Cosmic Ocean, Essie Go Overboard. 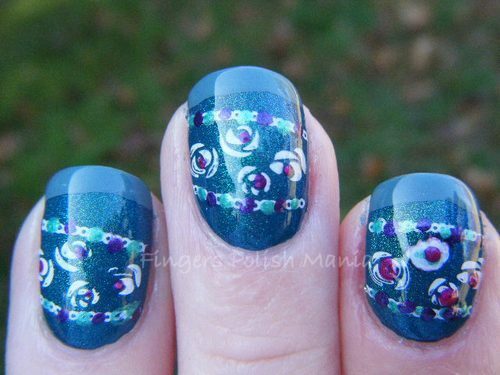 In front are some of the nail art pens I used for this design. I started with Go Overboard from Essie's newest collection. I spied it at Target the other day and HAD to have it. 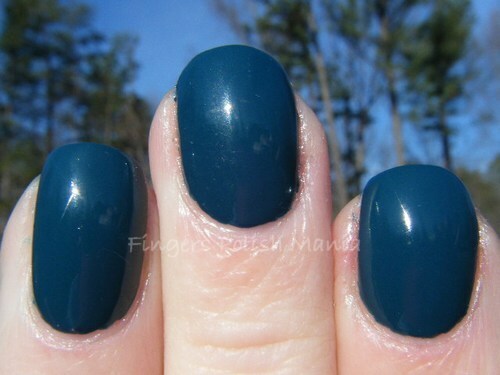 It is a gorgeous teal creme. I am so loving this color. Be warned, my camera is showing this way too blue. It has much more green in it. Here are your shots. 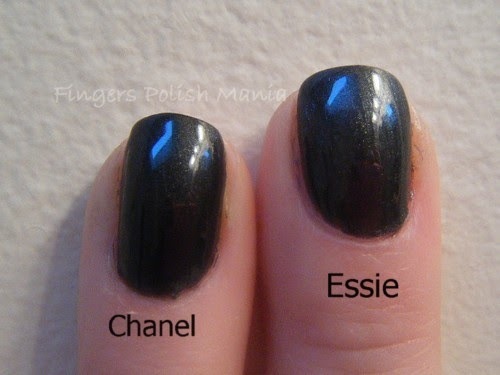 I would say isn't this stunning but it just isn't the exact shade of this Essie. Trust me, it's more gorgeous in real life! 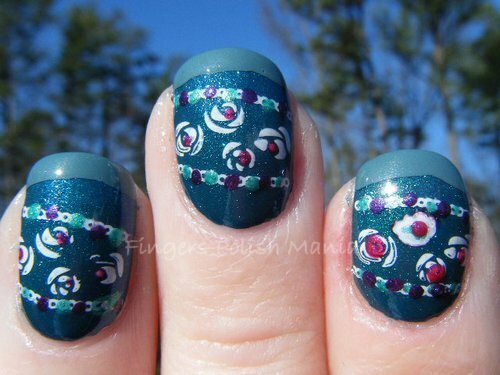 I then added two layers of Pam's Cosmic Ocean which shows an amazing green blue shimmer. Here are the shots. I am in love with this. 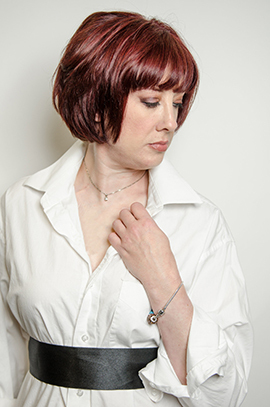 I just love Pam's creations! 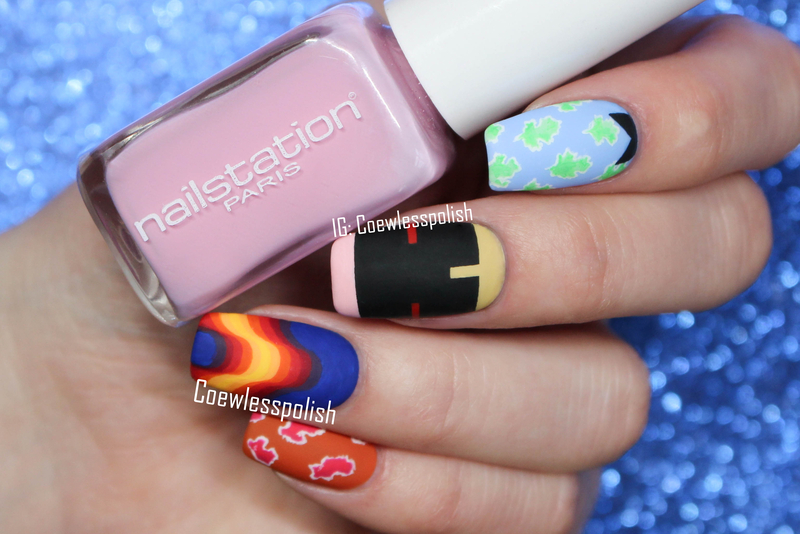 I then stamped with Sally Hansen Whirlwind White and XXL plate 4, then added dots with my art pens and topped it off with my funky french using RBL 230. Here are the final results! Holy Crap this is awesome right?? I wish my camera would cooperate and not change the shades! 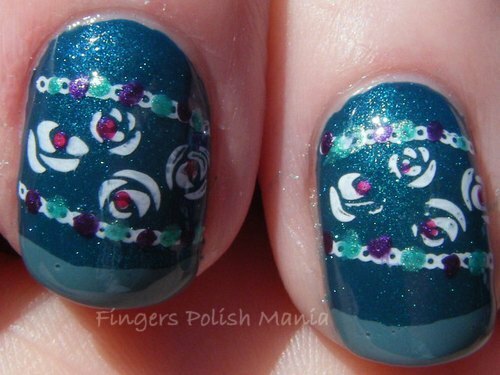 I am so in love with this mani. 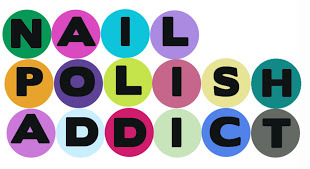 I also want to send a shout out to Jen at Just Foolin Blog Designs for helping me tweak my blog design so the dots aren't as intrusive as before and allows me to do bigger pictures. Do you guys like this new design?